As part of a consultation process in the development of a Dublin City Parks and Landscape strategy, Dublin City Council are asking for opinions from members of the public on public parks, in particular access to them and what you do when there as well as your views on the quality and value of the parks provided by DCC. You are invited to complete their questionnaire which you can access here. New parking control bye-laws came into effect in the Dublin City Council area as of 1st July 2013. These bye-laws cover pay-and-display ticket parking, residents' parking permits, and visitors' parking permits. To view and download the bye-laws, click here. For information about where to park and where not to park in Dublin, click here. 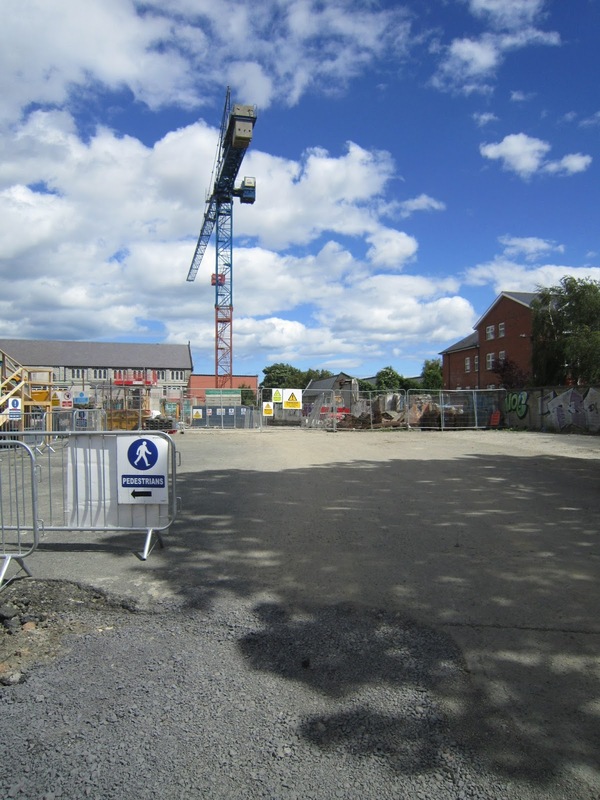 A second newsletter has been issued by Manning's (the company undertaking the construction work at 18-20 Rathfarnham Road) and Lidl. Roadworks involving the widening of Beechlawn Way at the junction of Rathfarnham Road are not as advanced as had been intended due to complications with underground service diversions, but the project team still hope to be ready open in December 2013. Eircom is planning to upgrade the underground cable infrastructure in tandem with the road-widening and, according to Manning's and Lidl's newsletter, have committed to communicating with customers who may be affected by the upgrading works. Manning's has acknowledged the annoyance that has arisen from unauthorised parking and queuing of delivery vehicles outside the site boundary in recent weeks. What would you like to see in the public space? At meetings with residents held earlier this year, representatives from Lidl indicated their willingness to consider views on what features might be installed in the public space at the front of the site. Suggestions to date have included seating and flower-beds, with some discussion of the implications of these. If you have any views or suggestions, please contact the Terenure Residents' Association (click here). As part of the Heritage Week celebrations next week, there will be a talk in the library on Dublin's Victorian Heritage by Michael Barry, author of "Victorian Dublin Revealed", using his own photographs to explore the wealth of Victorian buildings in the city, including those hidden from the public gaze. Wednesday 21st August at 6.30. This event is free, but prior booking will be essential at terenurelibrary@dublincity.ie or 01-490 7035. Do you have a budding soccer player in your house? Terenure FC are looking for new players, particularly boys born in 2002, to join their teams. The boys U12 team trains on Thursday evenings with league games played Sundays. For further details contact Sean Callanan at seancallanan@terenurefc.com or phone 087 6927370. The Irish Times (8th August 2013) carried a report on a project involving the photographs taken by Arthur Fields from the 1930s until 1985. Mr Fields was a familiar face on O'Connell Bridge and took over 180,000 photos of passers-by. His son David Fields is preparing a collection of these photos for a web-based archive. Photos taken by Arthur Fields may have the name Fields on the back and/or a reference number written in pencil. If you have any photos taken by Arthur Fields and would like to submit copies to the project, please contact David Fields at david.fields.dublin@outlook.com . For information about the "Man on the Bridge" project click here. To see the report in the Irish Times click here. Dublin City Council has temporarily suspended the first six parking spaces on Beechlawn Way with effect from Monday 12th August 2013 for five weeks approximately. 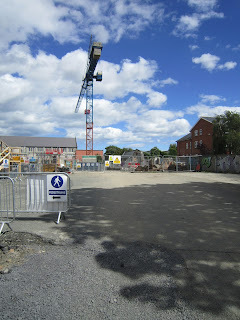 This is in order to facilitate the building works at the site at 18-20 Rathfarnham Road. The five spaces further up Beechlawn Way (ie, those spaces closer to St Joseph's BNS) will still be available for parking. Parking permit holders for Beechlawn Way have been issued permits allowing them to use spaces on Rathfarnham Road. A new clearway and cycle track signpost has now been installed on the foothpath just further up from the building site.